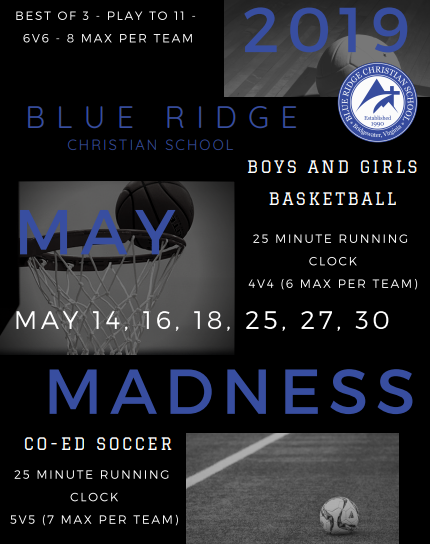 May Madness is being expanded into co-ed soccer, and co-ed volleyball. It is also being expanded to the Middle School athletes. 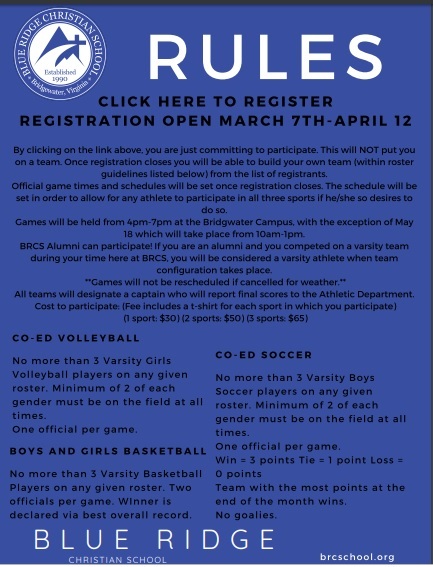 Attached below is a link explaining all details including dates, rules, roster configuration, and a link to register. The schedule will allow each participant to play all three sports if they desire. The registration deadline is going to be on April 12th, and roster configuration and game times will be released on April 15th. The athletic department will be creating teams for middle school students and schedules once registration closes. High School students are to create their own teams.